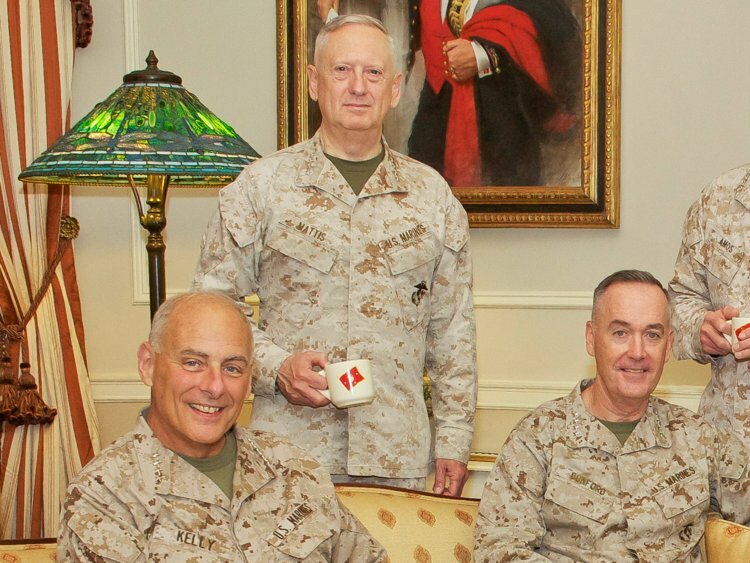 In a White House laden with competing power centers, a trio of military men has emerged as a force to be reckoned with. 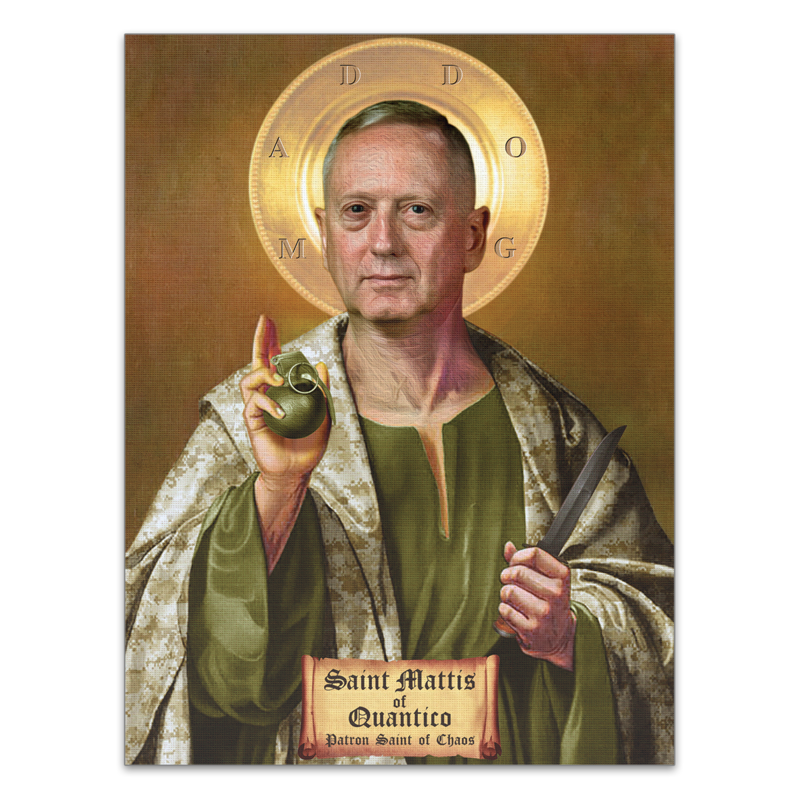 Defense Secretary Jim Mattis, Homeland Security Secretary John Kelly and Joint Chiefs Chairman Joseph Dunford have quickly formed a stabilizing alliance in an administration whose earliest days have been marked by turmoil. At working dinners and meetings with President Donald Trump, the men — all retired or current generals —have sought to guide the new leader and foreign policy novice. And they have increasingly represented Trump around the world, seeking to allay concerns about the new president and his nascent foreign policy. I discounted this article when it first came out but have "evolved" since then. It's obvious that the Marine Corps holy trinity is running things but what I find most amazing is how comfortable they appear pulling the strings of power. They effectively nullified Bolton in the attack on Syrian chemical facilities and I'm sure are pulling strings in other sections of the Trump foreign policy. I'll never know their true stance on issues but I'd now be willing to bet body parts that I highly value that they're closer to my own then even I realize. I don't think these bubbas are all about endless warfare. These three have seen enough, suffered enough personally (especially Kelly) and are aware enough to know that endless warfare is useless. They also won't want to see the military used in stop gap measures across the board. But what I find especially fascinating is that they haven't overtly sought to raid the piggy bank for the Marine Corps. I don't think other services would be so kind. For example the USAF (not to bang on them but as an example). If they had the same array of leadership in those positions we would probably have seen an air centric strike on Syria, glamorization of stealth aircraft and maybe even a confrontation with the Russian Air Force (pure supposition on my part but looking at the writings and statements of Air Force leadership I feel comfortable in feeling this way).